Lane Moore with Quinn; a handsome, well-bred, well-trained, six-year-old registered Quarter Horse gelding. Everything about this horse is admirable, until you look at his hooves. These photographs were taken October 4, 2012. 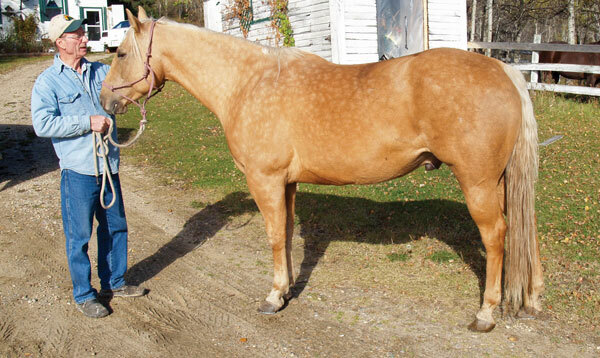 Lane Moore, a hoof care specialist from Caroline, Alta., acquired this young palomino gelding October 4, 2012. The horse is a registered Quarter Horse, a very well-trained and experienced mountain horse, calm and even-tempered with no bad habits. 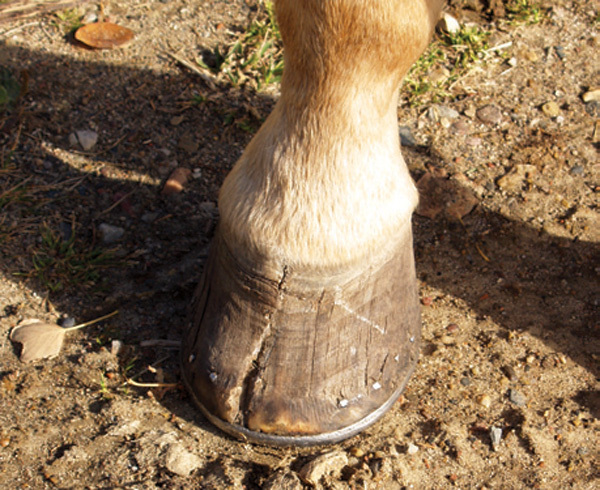 However, over a relatively short period of time, this six-year old gelding’s hooves had been distorted and almost destroyed by a combination of debatable farrier work and the introduction of bacteria. 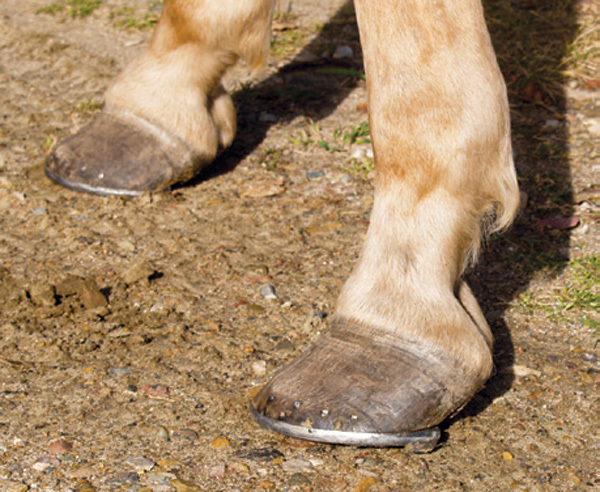 Quinn’s right front hoof is split to the hairline — caused by a combination of debatable farrier work and bacteria in the split. 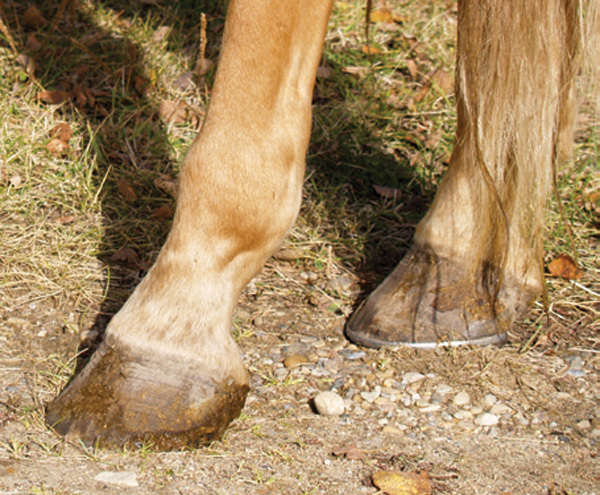 Quinn’s right front hoof, side view. 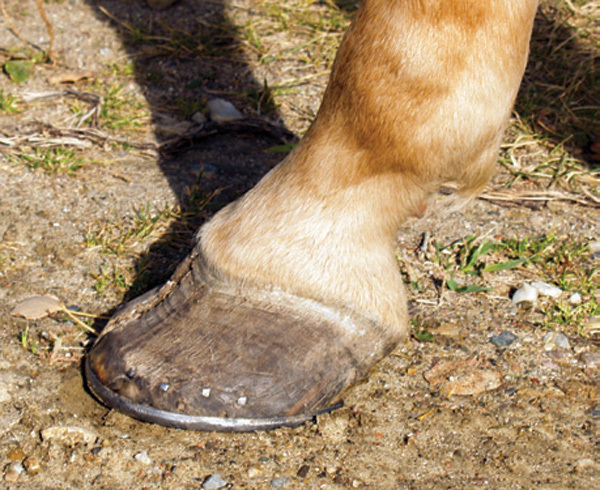 The photo clearly shows this hoof is clearly out of balance. 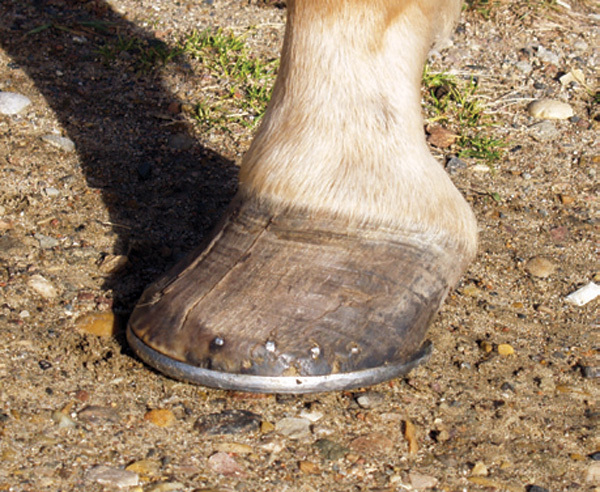 Quinn’s left front hoof. Notice the two splits forming. Throughout the coming year we are documenting the healing of this horse and the question remains; can this horse be saved?